After seven years of being under intensive care, Fed chief Janet Yellen doesn't believe the U.S. economy is ready to leave the hospital just yet. That's why Yellen and her colleagues at the Federal Reserve decided last week to keep its benchmark rates at near 0%. They might be right. The economy is hardly going gangbusters and there are real threats from China's slowdown. But some feel the Fed is coddling the economy by giving it more care than it needs. They argue emergency-level rates and Fed indecision are actually hurting confidence among consumers, investors and CEOs. That's why they believe a rate hike could actually boost the American recovery by reassuring the public, encouraging borrowing at cheap levels and generating some income for struggling savers. "One particularly sad irony in all of this is that the Fed's inaction may run entirely contrary to its own goals," David Kelly, chief global strategist at JPMorgan Funds, wrote in a note to clients. "By holding rates low, I believe the Fed is continuing to suppress economic growth and demand," he said. In other words, too much of a good thing can actually be a bad thing. It's akin to an injured athlete becoming dependent on crutches rather than trying to walk independently once his or her wounds heal. All of this runs a bit counter to central banking 101. Rate hikes normally act as brakes on growth that help the economy from overheating and curbing runaway inflation. But now, few fear the current recovery too hot. Inflation continues to run well below the Fed's own goals. Rates remain near zero despite an economic comeback. The unemployment has tumbled to 5.1% last month from a crisis peak of 10% in 2009. And even though higher rates usually kill demand, Kelly said there's evidence the first few hikes from extremely low levels could actually boost demand. Related: Is the stock market holding Janet Yellen hostage? 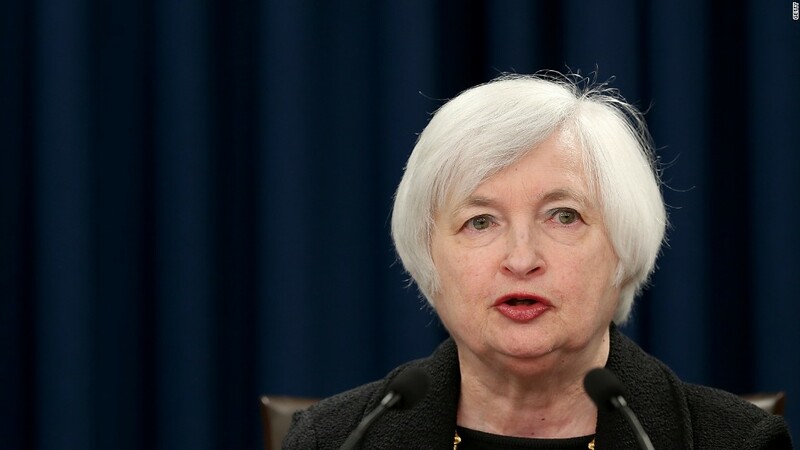 A rate hike would be like the Fed giving the economy a clean bill of health. That's psychologically important to consumers and CEOs still scarred by the Great Recession. People thinking about buying a house could finally be lured off the fence. It's a signal that mortgage rates won't stay extremely low forever. Even the housing industry doesn't sound spooked about looming rate increases. "With job growth holding steady, prospective buyers can handle any gradual rise in mortgage rates," Lawrence Yun, chief economist at the National Association of Realtors, wrote in a report on Monday. The central bank would be able to reload its arsenal if it starts raising rates. After all, there's fears that the Fed is completely out of ammo to cut rates during the next crisis. "Normalizing rates is just a smart thing to do when times are good because one of these days there will be bad times," said Ed Yardeni, president of investment advisory Yardeni Research. Rather than sinking excess profits into share buybacks and mergers & acquisitions, big companies could finally have the confidence to invest in future projects that create jobs. American savers are definitely rooting for a rate hike. They're sick of seeing money in the bank earn virtually nothing the past eight years. The windfall of interest income for savers and bondholders could help boost consumer spending a bit. "You have a powerful impact on American savers," said Kelly. Others believe the positive benefits of a rate hike would be more limited. Russell Price, senior economist at Ameriprise Financial, said he believes deposit rates wouldn't budge much following a rate hike. He also worries about how a rate hike will put further upward pressure on the U.S. dollar, threatening exports of American goods overseas. But it seems even the stock market -- one of the biggest beneficiaries of cheap rates -- is getting sick of the Fed's reluctance. Just look at how U.S. stocks retreated after the Fed decision was announced last week. If anything, investors aren't happy with vacillation at the Fed. "The Fed is helping so much it hurts," Bank of America Merrill Lynch wrote in a note on Monday. Keeping rates steady is actually now a "negative for stocks," the Wall Street bank argued, pointing to diminishing returns for equities following each Fed stimulus program. "The Fed is being overly dramatic about it. It's only a quarter-point hike. Markets were ready for it. They should have done it," said Yardeni.